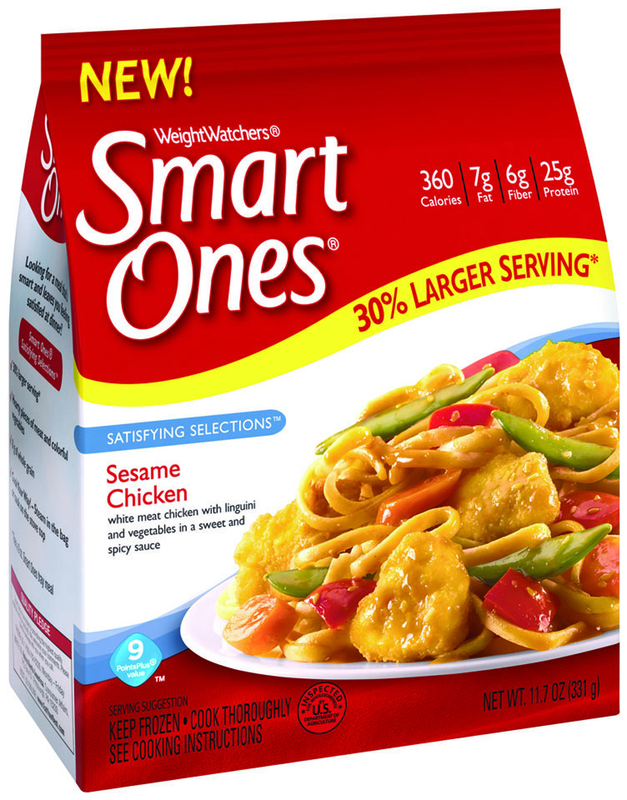 Thanks to SocailMoms, I was given the change to review two of the *New* Satisfying Selections from Weight Watchers Smart Ones. 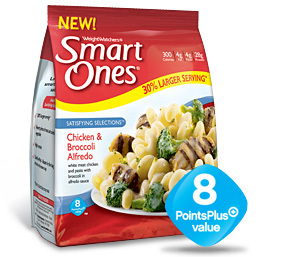 It has been a few years since I have purchased a Smart Ones meal. I use buy them when I worked outside of the home. It was a great way to get a healthy, warm meal away from home. Do you ever purchase these type of meals? I bought the Sesame Chicken and Chicken Broccoli Alfredo. Below is what I thought of each one. (From package) 9 WW points, 360 Calories, 7 fat grams, 6 grams of fiber, 25 grams of protein, and 49 grams of carbs with 10 of those coming from sugar. Overall, this meal was satisfying and perfect for those on Weight Watchers or if trying to control food portions. I was surprised that the entire bag was one meal! The portions were generous. It was super quick and easy, under 5 minutes and the meal was ready to eat in the microwave. The meal can also be cooked on the stove top. The price is just right for a one person meal. I would have loved it to have had more veggies in the bag. The chicken was tasty, breaded but not necessary. I had high hopes for this meal because I love anything Asian. This meal was too sweet for me. I will say though, that after I ate dinner I never got hungry for rest of the night. (From package) 7 WW points, 300 Calories, 4 fat grams, 4 grams of fiber, 28 grams of protein, and 39 grams of carbs. Overall this meal was also satisfying and perfect for a perfect portion controlled meal. The portion was very generous, right price and quick & easy to prepare. I loved this meal. In under 5 minutes I had a pasta dish that was perfect and cheesy! The chicken was cooked just right for this meal. I would have liked more veggies in this meal. I added a salad with my meal but it was necessary because I was completely full after eating this one, too. I never got the munchies later in the evening. It kept me full!! I plan on purchasing the Ziti Marinara with Meatballs & Cheese next. Overall the price and portion is just right for a one time quick meal. Just like most frozen meals, they are full of preservatives. The protein was a perfect and I wasn't hungry later. If I'm serving myself or my family this type of meal I always balance it with fresh fruits and veggies. If there isn't time for it, this meal is perfect for convenience! If you are watching your portion and need quick meals I hope that you will try these Satisfying Selections and see what you think about them. Packaged as a bagged meal, they feature heartier pieces of meat and veggies than what is typically found in a frozen nutritional tray option. The pre-portioned nutritional meals help you to stay on track – especially at dinnertime. And, they all have less than 400 calories, 8-10 Weight Watchers PointsPlus™ and 25 grams or more of protein. With dual-prep methods you can prepare them just the way you like. Either steam them in the microwave or cook on the stove top and serve on a dinner plate. Availability: Weight Watchers® Smart Ones® Satisfying Selections is available nationwide.